Believed to be the liquid manifestation of Shakti and the nurturer of the three worlds with her life-sustaining waters, Goddess Ganga is the epitome of beauty and purity, famous for her indomitable spirit and boundless charm. Renowned as a devoted daughter, a caring mother, a passionate lover and a merciful saviour, she is here to absorb and absolve us of our sins. A constant goddess, she is part of the Indian ethos, revered and loved across the ages. 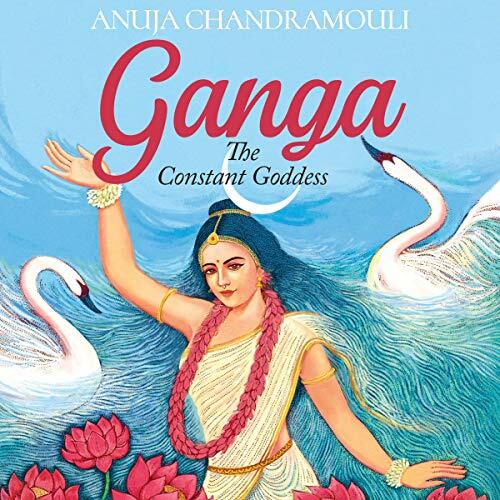 The exquisite epic that is Ganga’s story, from her miraculous origins, her sojourn in the heavens, her poignant relationships with the divine trinity, the birth of her sons, Bhishma and Kartikeya, and her descent into a wicked world that is not worthy of her is dazzlingly told by Anuja Chandramouli. Without this goddess, life as we know it will be over, for her righteous retribution will be terrifying. This book is a vibrant retelling of the story of Ganga, who has the power to save us all and bestow the precious gift of moksha, embracing saints and sinners alike with her all-encompassing compassion. ©2018 Anuja Chandramouli (P)2019 Audible, Inc.